All items will be sold by lot number and in lot order. If you need to preview any of the Online lots, please make arrangement with Seller or Auctioneers. The Online terms and conditions will apply to the lotted items and an 8% Buyers Premium will be charged for online purchases. CHECK, No Debit or Credit Cards. Not responsible for accidents, theft or advertising error. No property removed until settled for. 14” across the seat. There are 3 red and 2 black seats. 2 Wild Life Pictures. All 3 to go one money. 6 Miller Lite Neon sign. Works great. 7 Old Coca Cola clock. works fine. 9 Coca Cola Patio set. This is a mini set. 14 Coca Cola Petroleum truck. Serves as a piggy bank. ball pen writing on it. 22 Skoal sign - Metal with hanger at the bottom. if it works. Don't have key. 25 Old Antique rug beater in good condition. 26 Poker chips in good shape with many chip racks& green felt. 29 New duffell bags and coolers All to go one money. Big bags have roller wheels. 31 MASH VHS video series. VCR tapes. Boxes are in good shape. just traded for manual choke. 42 Feather Tick comforter in bag. It is used but appears to be clean. 43 Ducks Unlimited Duck stamp pictures. Both to go one money. 46 Ty Beanie Babies "Puppies" All to go one money. Names in order of picture. 47 Ty Beanie Babies Birds All to go one money. Names in order of pictures. 48 Ty Beanie babies Wild Animals All to go one money. Names in order of picture. 49 Ty Beanie Babies Rabbits and Mice All to go one money. Names in order of picture. 50 Ty Beanie Babies misc. All to go one money. Names in order of picture. 52 Ty Beanie Babies bears Allto go one money. Names in order of pictures. 53 Ty Beanie Babies Legs & Snort All to go one money. Names in order of picture. 54 Stuffed bears All to go one money. 2 4-H bears and misc. 55 Misc stuffed animals All to go one money. More items may be added. Please check back. Thank you! 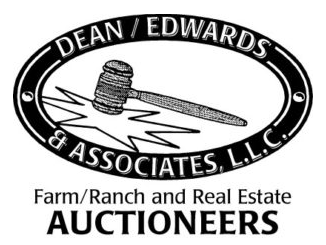 This will be a Timed Online Auction and bidding will start March 19, 2018 at 8:00 am and ending on April 20, 2018 @ 6:00 PM. We will be closing 1 item every 2 minutes. If an item receives a bid in the last 2 minutes of the auction, the bidding will extend by 2 minutes. Pick up location will be sent to winning bidders with pick up available April 21, 2018 thru April 23, 2018 from 8:00 am to 5:00 pm each day. Special arrangements can be made by calling Auctioneers.